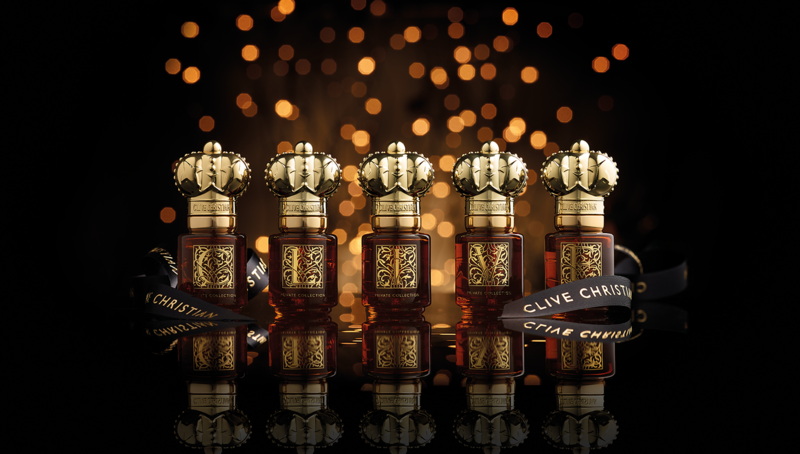 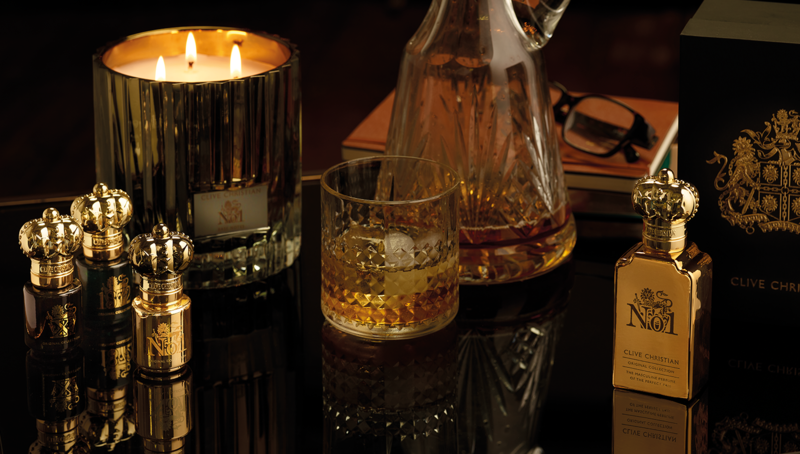 Clive Christian needed a gifting campaign for Clive Christian luxury fragrances to be launched in time for Christmas, but wanted it designed to work over the year across a variety of cultures and occasions, as well as general gifting. 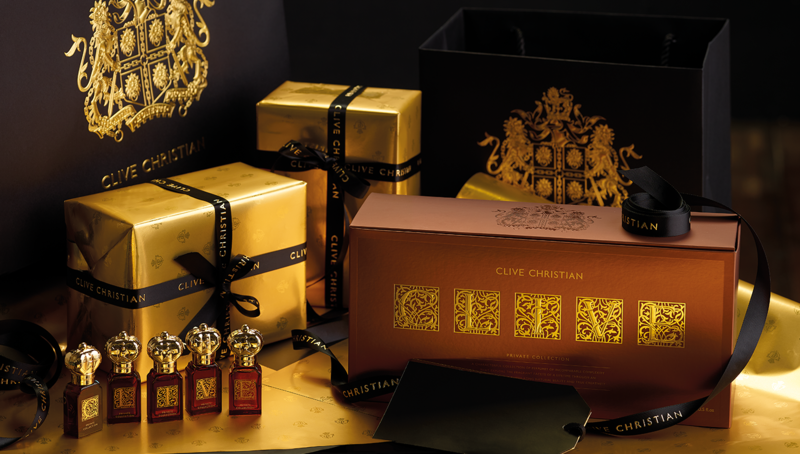 Clive Christian luxury fragrances are highly individualised, and so it seemed natural to create a campaign idea which could be personalised to reflect the myriad motivations behind gifting Clive Christian. 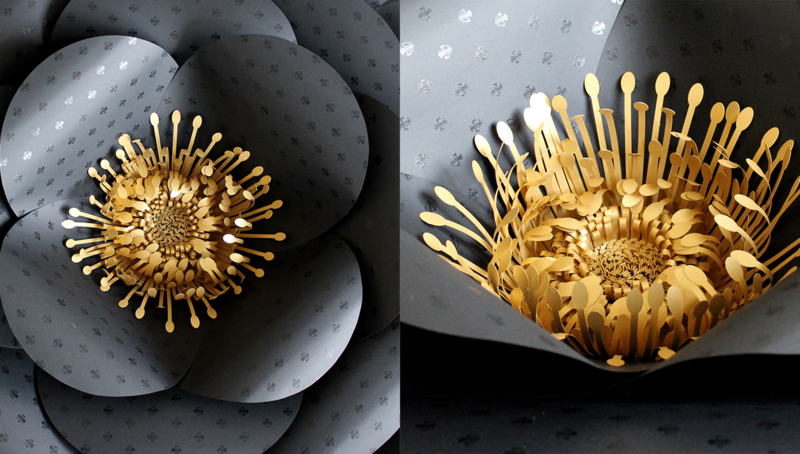 In addition, Identica recognised the need for the campaign both to stand out, and emulate the spirit of the brand. 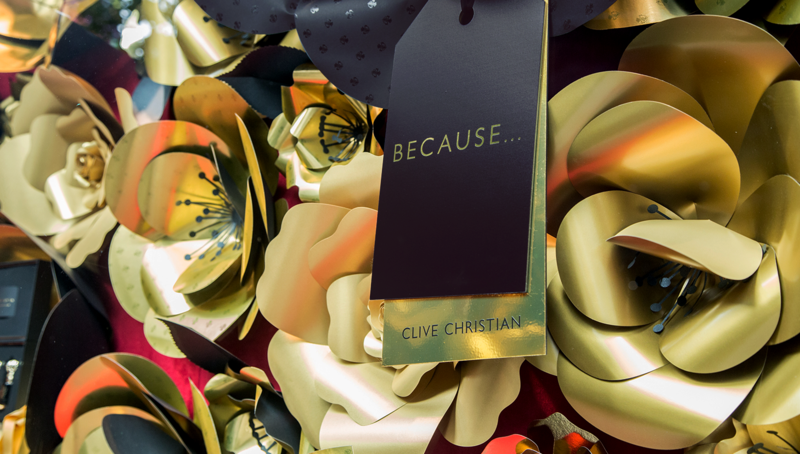 Identica created a campaign titled ‘Because’, allowing customers to personalise and express their individual reasons for gifting. 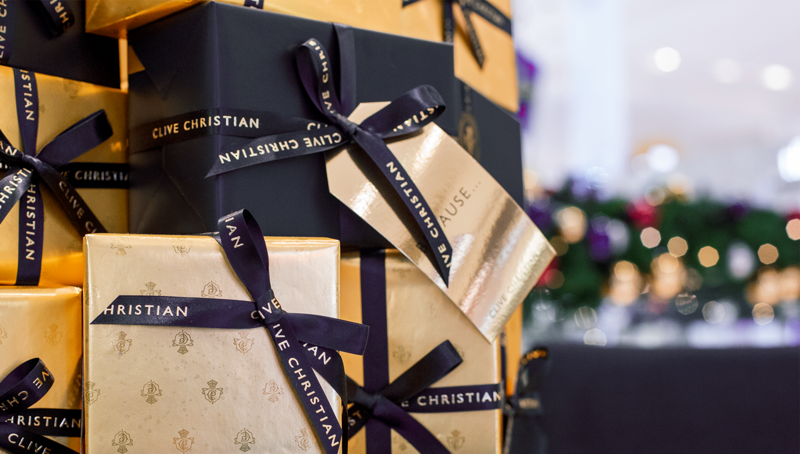 Oversized gift tags sporting customer generated messages give the campaign a personal touch, and allowed it to flex both in-store and within on-line environments. 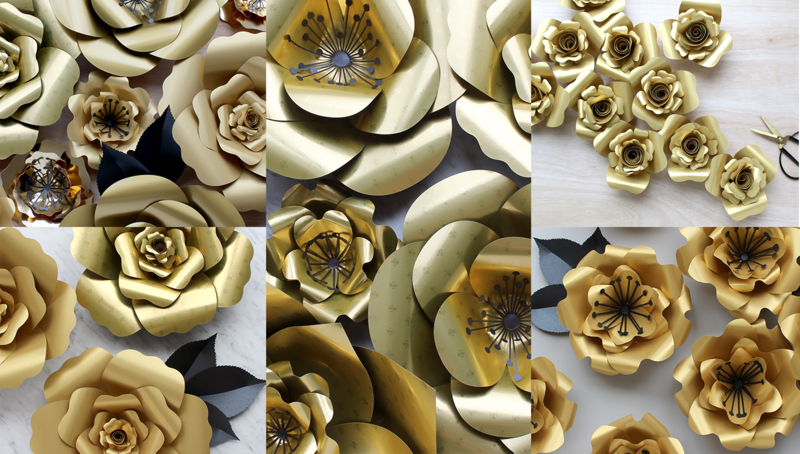 Using the gold gift wrap and black tissue paper we created as a key asset of the Clive Christian gifting experience, we commissioned paper artist Sarah Matthews to create these amazing super-sized flowers. 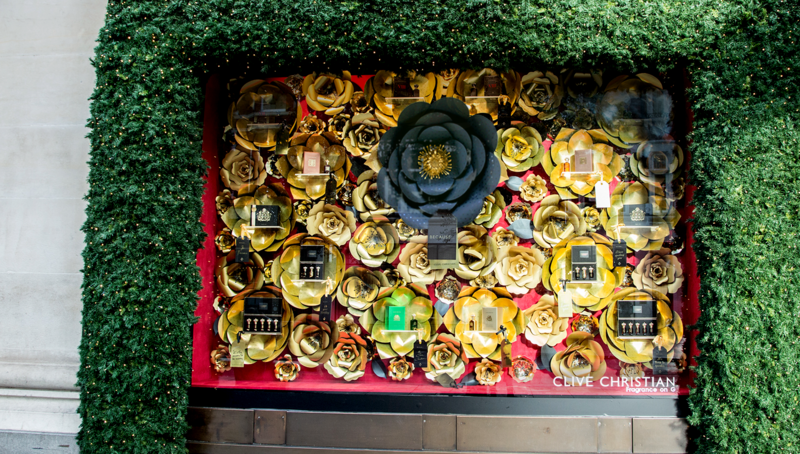 The campaign started with a stunning Christmas window at Selfridges Oxford Street, after which the magical display moved inside Selfridges to the Mary Site. 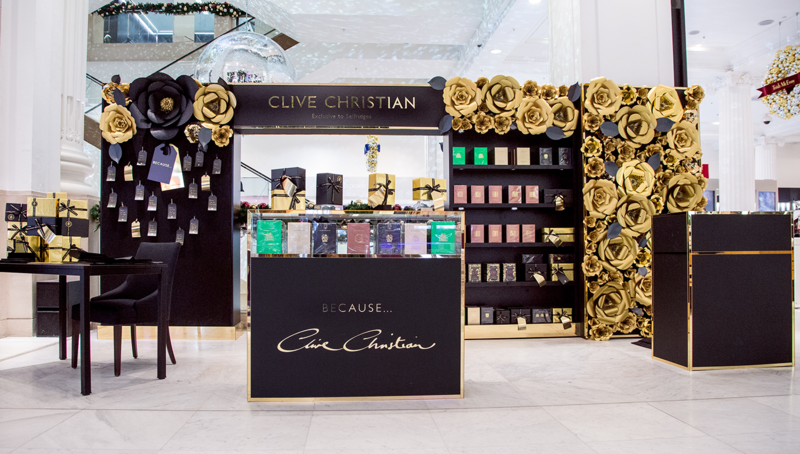 At the Mary Site a calligrapher, engraver and ‘wrapologist’ helped reiterate the personalised and premium qualities of gifting Clive Christian. 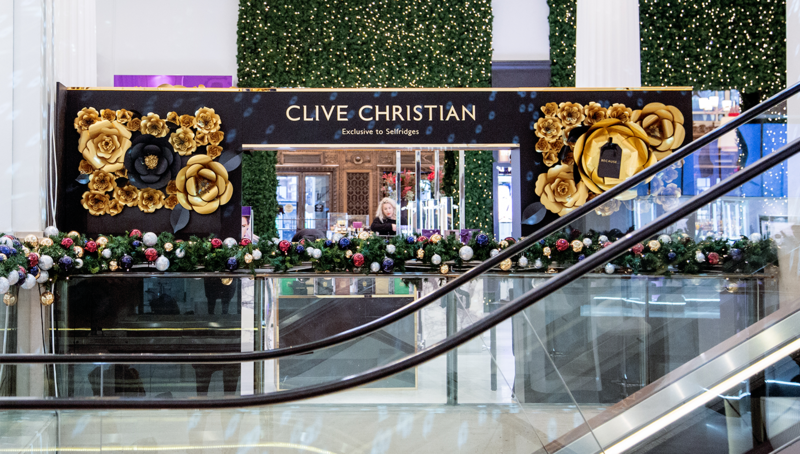 The in-store experience is being extended to social media and online at Clivechristian.com, with a luxury lifestyle and product photoshoot.